Baby slideshows will get wows from the whole family. 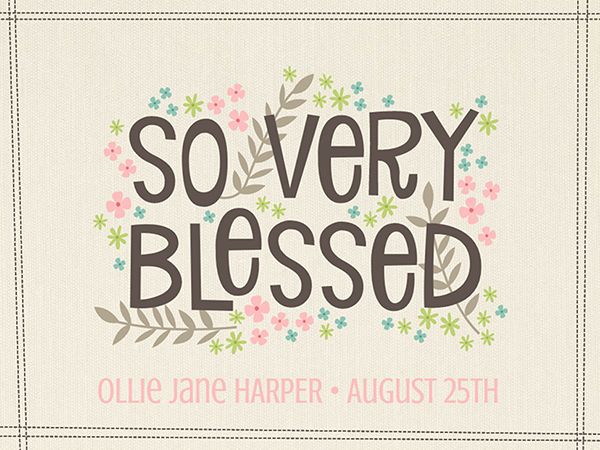 Baby slideshows are an easy and fun way to let the world know about how your little bundle is doing. Our free baby slideshow maker was designed for busy parents who don’t have time to waste – the simplicity of creating baby photo slideshows will amaze you. Make a baby slide show right now to see how easy it is. Free baby slideshows are a marvelous way to show off the charms of your youngsters. With pictures, music, and text, baby slideshows let you express the incredible feelings of being a parent to those not there in person. You can add to your audience’s enjoyment by personalizing the numerous text and color options provided by our baby slideshow maker. Once you have created the ultimate baby slideshow, it’s super simple to share. Choose from one of our many options, which include email, social media, and saving to your computer, to share your masterpiece with friends and family. How easy is it to make a free baby slideshow? Keep reading to find out! From classic to crazy, Smilebox has the baby slide show layout that puts the right spin on your parental pride. There’s lots to choose from, and once you have settled on the one that’s right for you, click it, and then “Personalize”. How do you choose from all of those adorable photos that you have stored on your computer, phone, and social media accounts? It might take some time, but Smilebox makes it easy – just start off by clicking “Add More Photos”. Once you are done, you can use our time-saving “Autofill” function, which puts images onto slides for you. Alternately, you can click each picture separately to get it into the slideshow. Maybe your baby is about to wake up, or your kids are on their way home from school, and you need to finish your baby slideshow in a rush. In this case, just a few changes to the colors and text of your baby slide show will do. But if you’re really out to impress, spend all the time you want in changing fonts, adding animation, and trying out different songs. Each change can be viewed immediately through our “Preview & Share” function. You can also have a look at the bottom of the personalization program screen to see an updated miniature baby slideshow. Sharing your free baby slideshow takes just a few clicks, and in minutes, you can send your creation to all of your friends and family by email and social media, or save it to your computer. Then sit back and read all of the “OMG” and “So Cute” comments that you receive. Make sure to save your baby slide show with a name in order view it again – which you’ll do often, for sure. They’ll always be your children, and you’ll always love to show their most charming moments in a baby slideshow. From their first day onwards, you can depend on baby photo slideshows to put their cutest photos in the nicest settings. Smilebox even grows with you beyond baby slideshows. Just have a look at our selection of slideshows for birthdays, graduations, weddings, and more life events. For every step of the way, Smilebox has the perfect medium to record and express the feelings of parenthood. Baby slideshows are so easy to make that you can even let your kids create their own. Imagine the joy and pride your kids will experience when you teach them the simple process of using the baby slideshow maker. You can show them how to choose their favorite pictures, change template colors, and help them type in their own texts for the baby slideshow. They may need a little more help in sending their baby slideshow to proud relatives, but that just makes it even more special!